Jim Bruce, currently principal at Sacajawea Elementary School in Richland, was selected through a rigorous process and from among four finalist candidates to be recommended for hire as principal of Jefferson Elementary School beginning in July, 2018. Jim Bruce, currently principal at Sacajawea Elementary School in Richland, was selected through a rigorous process and from among four finalist candidates to be recommended for hire as principal of Jefferson Elementary School beginning in July, 2018. The recommendation to appoint Mr. Bruce to the position of Principal at Jefferson Elementary School will be considered by the Pullman School District Board of Directors at the June 13, 2018 board meeting. The comprehensive interview process included a formal interview and presentation to the interview committee, a written exercise, an observation and written feedback of a lesson, a tour of Jefferson and interview with Jefferson students, and a staff and community open forum. Among the four highly capable finalist candidates, Mr. Bruce emerged as a capable and desirable candidate in the view of the staff, students and community members that participated in an open forum. The interview committee consisted of administrators, a board member, 2 district instructional coaches, 4 Jefferson staff members, and 2 Jefferson parents selected by lottery. Students from Jefferson that met with Mr. Bruce noted that “kids are comfortable around him and he is nice and funny” and that he “treats everybody the way he wants to be treated”. 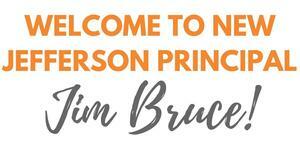 Mr. Bruce has served as Principal at Sacajawea Elementary for the past fourteen years. Prior to that, he served as an elementary school principal in Clarkston, and has taught at several elementary grade levels. He is a graduate of Eastern Oregon State College and holds a Master’s degree in Educational Administration from the University of Idaho. 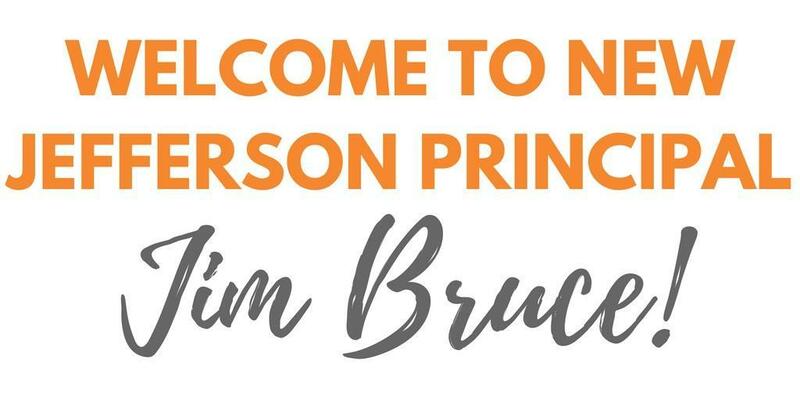 Superintendent Dr. Bob Maxwell said, “Jim Bruce brings a wealth of knowledge and ideas and his experience will serve him well as the principal of Jefferson Elementary School.” We look forward to welcoming Mr. Bruce to Pullman Public Schools! Photos: A group of students at Jefferson had the opportunity to interview Mr. Bruce and give him a tour of their great school!